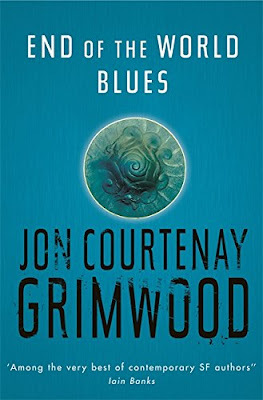 As book reviewers, we are always on the lookout for new and interesting work, and the name Jack Grimwood was unfamiliar, but I soon started to laugh when Publisher Rowland White mentioned it was actually Jon Courtenay Grimwood, using a pen name. Firstly I kicked myself, as it was an obvious variation on the name of the renowned journalist and award-winning writer, but one more closely associated with the Science Fiction / Fantasy [or Speculative] subgenre [under his real name]. Incidentally Jon is married to fellow Writer and Journalist Sam Baker. It had been a while since I met-up with Jon Courtenay Grimwood, but recalled with vivid clarity his moderation of a panel entitled Future Noir, at the Dead-On-Deansgate Convention[s] in Manchester. If memory serves, it was at that panel that fellow SF/Dark Fantasy writers Michael Marshall Smith, and Richard Morgan first indicated their interest in Crime and Thriller Fiction with work such as The Straw Men and Altered Carbon. So armed with a review copy of MOSKVA by Jack Grimwood, I was most intrigued to read Jon’s first foray into Thriller writing; so what were my thoughts? 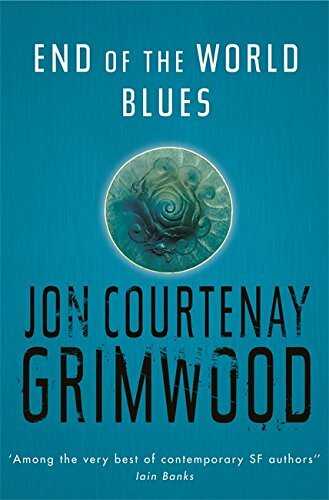 Grimwood layers on subplots and observations, many as bleak as the austere days of living in the repressive regime that is Russia, as well as the hidden secrets of that era that dates back in time, revisiting the horrors of the past. There is convolution, detailed introspection with the Russian backdrop becoming a character amongst the machinations of corruption and fear. We have glimpses to the siege of Stalingrad, the Russian assault on 1945 Berlin, the shadow of Stalin right up to the corruption and infiltration of criminals clothed in the uniforms of the elite, all leading Major Tom to traverse an alien land, a Fox among wolves with no one to trust. Moskva is peppered with memorable characters, carved with precision, as well as an exciting and scary landscape, where the past and present may affect Tom Fox’s future and that of others. I was delighted to bump into Jon again, this time at the Crimefest Convention held last month in Bristol, where he was on a panel entitled “Power, Paranoia and Political Machinations” with fellow writers, Caroline C.J. Carver, Ruth Downie, William Ryan and moderated by Luke McCallum. As I’d just finished reading the dark tale MOSKVA by Jack Grimwood, I had a few questions related to this change in literary direction. 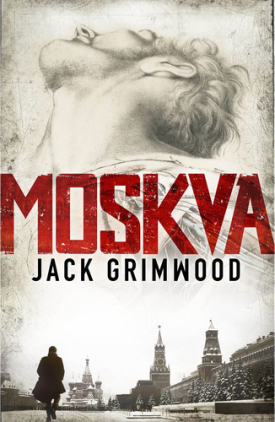 Jon [aka Jack] kindly obliged telling Shots Readers a little about Moskva’s origins, the research in Russia, the future for Grimwood as well as a little about his work that others unfamiliar with his earlier work might find of interest. Moskva is highly recommended, but a warning; it is indeed a very dark tale, and one that will see you reading late into the night. Ali So the most pressing question first; how did Jon Courtenay Grimwood turn to writing such a dark, historical thriller? The book was called “Wax Angel” first, and was briefly “Resurrection Gate”, before Penguin's Rowland White bought it and its sequel, and we settled on “Moskva”. Ali And I know you’ve used nom-de-plumes in the past, so can you tell us where the name Jack Grimwood originated? Jack In an ideal world, you'd write a book, get it published if you were lucky, and write another and they might be similar or they might not. It doesn't work like that though and publishers are, understandably enough, keen on branding. Luckily I'm represented by Jonny Geller at Curtis Brown, who basically said, you write what you need and we'll decide who wrote it. 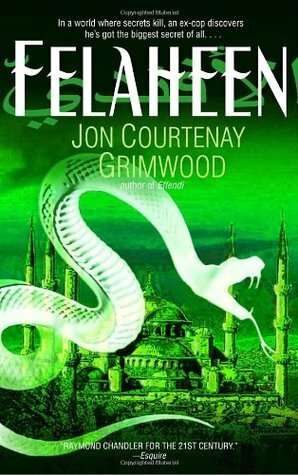 I'd already written a number of slightly strange speculative novels as Jon Courtenay Grimwood. So we decided that The Last Banquet (for Canongate) should be written by Jonathan Grimwood. And if I really wanted to write thrillers, and I really did, we'd needed another me. So Jack Grimwood was born. I liked Jack as a name. It's short, sharp, louche and sounds drunken and slightly dangerous. It was also the name my father used in the last war. He was christened John but his family knew him as Ivan. I'm not sure how he got from Ivan to Jack... Maybe Ivan was too complicated if you're dealing with Russians. I asked my father if he'd mind and he said no. Ali Though you’re better known for your science fiction / fantasy work, which has won or been cited in numerous awards, as well as your journalism, tell me about when you sat down to turn your hand to thriller writing? Jack I've been a fan of crime novels forever. There are a handful of writers I buy in hardback that I've been buying in hardback from long before I could afford hardbacks. The main one is James Lee Burke, who I consider one of the American greats and I'm always shocked he's not better known in the UK. I bought all of Dibden's Aurelio Zen novels in hardback when they came out, then transferred my loyalty to Donna Leon's Brunetti. We have a complete collection of John Connolly's Charlie Parker novels. A complete set of Ian Rankin, obviously. Ditto Andrea Camilleri. Also Carol O'Connell. Not to mention Carl Hiaasen. And a fair few of Lindsey Davis' Falco novels. There are others, in paperback, many in translation. It's not hard, reading Moskva, to identify my thriller influences. I bought Gorky Park when it came out. (I bought the follow ups too.) There's an obvious debt to Le Carré's spy novels, and a less obvious but deeper one to Troy Kennedy Martin's utterly brilliant 1980s BBC TV series Edge of Darkness, which changed my ideas about what was possible from fiction. The novel that began it all for me though, was Desmond Bagley's Running Blind. I read it at an impressionable age and long before I'd begun thinking about plotting or thriller templates. So the idea of an ex-spy, innocent but mistrusted, alone in a strange country, betrayed by his betters, seemed revolutionary! Ali So did you have a detailed plot in mind, with characters or just a sketch, and allow your imagination [with the muse] to do the work? Jack I was in Moscow briefly in 1986, and in New York a few months later. The contrast between Gorbachev's USSR and Reagan's America was so striking it stayed with me and influenced everything in this book. I had the boy in the snow, the teenage girl in a dinner jacket at the embassy party, the Soviet veteran who'd lost his leg in Afghanistan, and the beggar woman who carved figures from candles, but I had no idea how they fitted together. The first draft was discovering what happened and the second told me how what happened fitted together. The third changed my ending to something slightly less weird, which in retrospect was a necessary decision. Rowland White at Penguin kept hammering at my instinct to spin off into side alleys. And I hammered hard at myself to keep my tendency to make things ever weirder in check. That said, the end of the book was written on the fly once I reached a point where Major Fox was so deeply in the dirt I had less than no idea how I was going to get him out of it! He got himself out though, for which I was grateful. Ali I know you’ve travelled a great deal, so please let us know what appealed about Cold War Russia as the backdrop for your first thriller and how much research was required as there is much fascinating detail and observation in Moskva? Jack The line between “Them and Us” is less clear cut these days. The cold war was a simple and brutal thing. We were good and they were bad. And for them, it was the other way round. It was never that simple, of course. (I remember someone who'd know telling me he had more in common with his Soviet counterparts than he'd ever have with the civil servants in Whitehall.) But for a while it looked as if the world was in an uneasy and dangerous balance. Things are more complicated now. This year's ally in the Middle East is next year's enemy, and vice versa. No one's really got a grip on the global power shift towards China, except perhaps Beijing and they're not saying. The last war was fought with rifles, the current ones are being fought by kids in call-centre barns piloting drones, and the next one will probably involve seeing how much of a country's infrastructure you can turn off from five thousand miles away using son of suxnet and a computer screen. As said, I was in Moscow briefly in 1986 and had friends working there. I had family based in Helsinki, had lived myself in Norway in the 70s, and in the early 80s drove to Nordkap in Finmark (1017 km by road from the Arctic Circle. Less if you're a crow). So, when I started writing Moskva, I had a fairly clear idea of what Moscow was like at that time and the levels of Politburo watching and paranoia in the countries bordering the USSR. What I wanted to do was look at the rise of Gorbachev, the hope that was Perestroika and the tipping point for the fall of the Soviet Union. We know the USSR is going to be gone within ten years. The characters in the book don't. The research was fairly basic. I bought a number of 1980s guide books to the Soviet Union and read them avidly, I talked to people who'd been there and spent a lot of time pouring over the biographies of Soviet leaders, Soviet timelines and histories of Stalingrad, the fall of Berlin and World War Two in general. I also watched Soviet films, listened to Soviet music and bought a Soviet cook book. Ali Tom Fox is a very interesting protagonist, and I’m interested in his genesis in your mind; but specific mention should also be made of the array of secondary characters such as bar owner Dennisov and many others, so tell us about the task of creating Fox and the secondary characters inhabiting the bleak world of your Moskva? Jack One strand of Tom Fox's life is based on a couple of people I knew who did stints in Northern Ireland. Mostly, though, he's made up. I like him but don't, as yet, really know him any more than he knows himself, which swings between altogether too well and nothing like well enough. Dennisov kicked his way into the book drunk, unshaven and fully formed. He's a bit of a marmite character. At the first draft stage I had men ask me why he was in there and a woman say don't you dare remove him. Wax Angel was also born fully formed and I knew, and know, more about her than any of the other characters. For me she is a manifestation of the spirit of Moscow. I'd disagree that Moskva is bleak, or at least entirely bleak, I think it has a certain graveyard humour and those who need redemption are sometimes offered it; which, I suspect, is all that most of us can hope for. Ali There are some very exciting action set-pieces, as well as much brutality in Moskva. Many years ago when speaking with Dennis Lehane about his work, he mentioned how much he enjoyed writing the actions scenes, and the cathartic feeling he had when he approached the gunfire; so tell us how you approach writing action scenes, and violence? Jack I try to be as cold as possible writing violence and as humane as possible in describing its after effects. Violence is a jagged stone thrown into a pond, the ripples spread and keep spreading until they reach the edge. The hardest scene to write, and the only one I really had to make myself write, was the autopsy. I took photographs from an autopsy, and a walk-through of a typical autopsy on a known crime victim, locked down in a small room in Paris and told myself I couldn't go home until it was done. When it was, I went for a very long walk indeed. Right the way up one bank of the Seine and then back on the other. Writing the murders and assorted nastiness in Moscow and Stalingrad wasn't nearly as hard. Ali Though published over a decade ago, I still recall the Arabesk trilogy with fondness, so are you still writing fantasy / SF work, and also what about your journalism? Jack The Ashraf Bey novels remain some of my favourites. They're standalone crime novels featuring a half-Berber detective set in an Ottoman Empire that survives because the First World War never happens. I had huge fun writing them. And I really want to go back and write another three at some point. At the moment, as well as writing the next Tom Fox novel, I'm revisiting a sprawling fantasy I wrote a few years ago set in Heaven, Hell and Mexico City. Ali And recently what books passed your reading table that you found had merit? Jack Too be honest there are far too many to mention. Six Four by Hideo Yokoyama had a slow burn quality that dragged me in. I know a lot of reviews felt it too dense but I thought that was one of its many virtues. Karim Miské's Arab Jazz I adored. Maybe it helped that it was set in Paris and I know the areas but it was also emotionally complex, neatly plotted and politically honest. `For me, Ian Rankin's Even Dogs in the Wild, and Donna Leon's Waters of Eternal Youth were their best books in a while. (And that’s from a bloody tough benchmark already.) I have the new John Connolly stashed for holiday reading as a treat. So I can tell you what I think when I get back! I don't get much chance to go to the cinema these days but I loved Trapped, and thought it the most interesting TV crime series I'd seen in ages. Happy Valley was grimly watchable; and obviously enough, having lived in Scandinavia, I'm a complete sucker for The Bridge, The Killing, and pretty much anything else shot in half light with sub titles. Ali We hear rumours of a follow-up Jack Grimwood novel “Nightfall Berlin”, would you care to tell us a little about what might be in store for your readers? Jack Nightfall Berlin opens about six months after Moskva ends. Tom Fox is on holiday in the West Indies with his family when he's told that a famous British traitor, who defected to the Soviet Bloc, has written to The Times to say he wants to be allowed to return to the UK and is prepared to stand trial for his crimes. Tom's been chosen to bring him back. Needless to say, nothing goes as planned. Shots Ezine would like to thank Jack Grimwood and Penguin-Random House for their help in organising this interview.